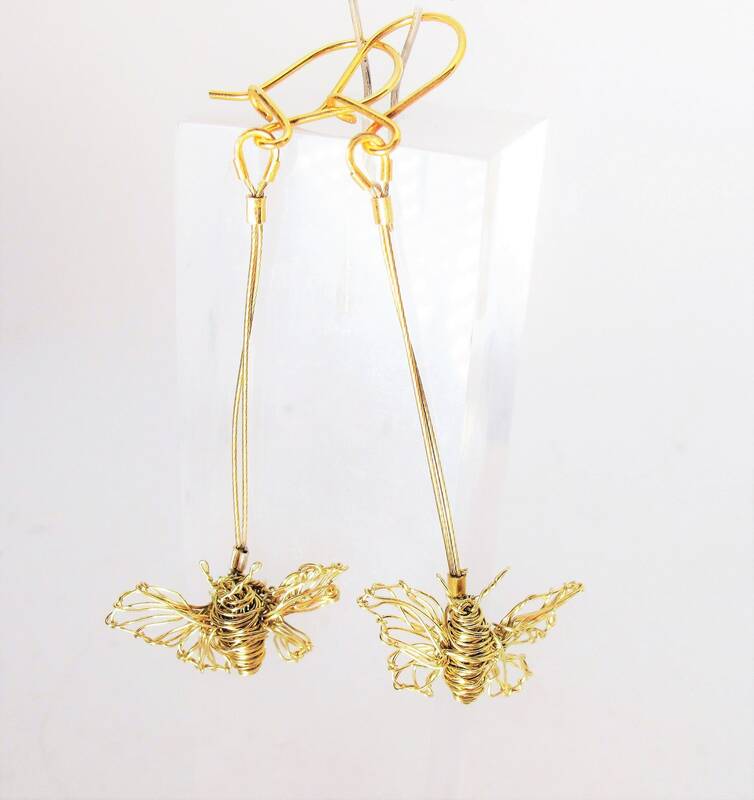 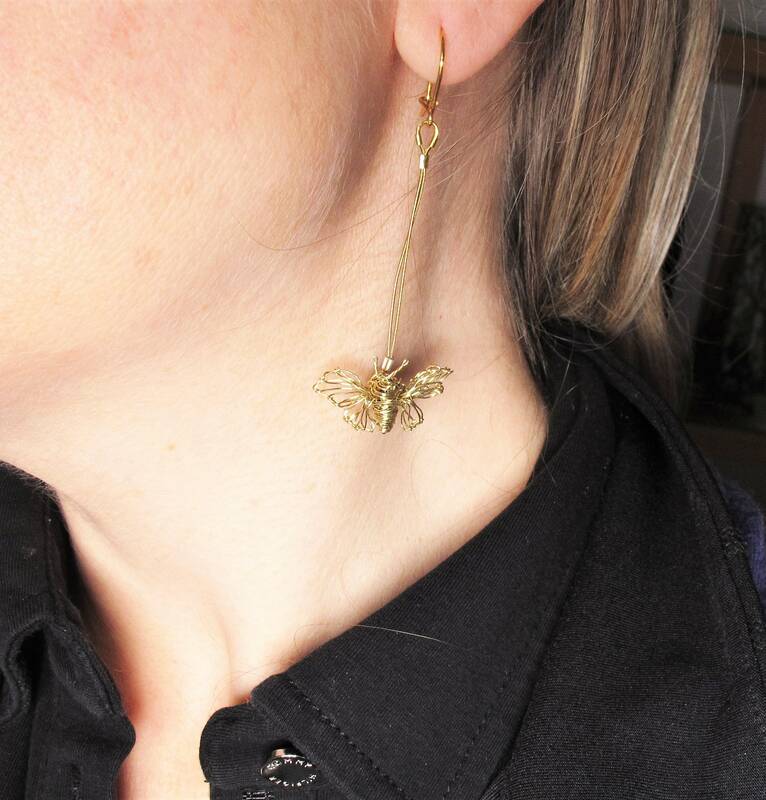 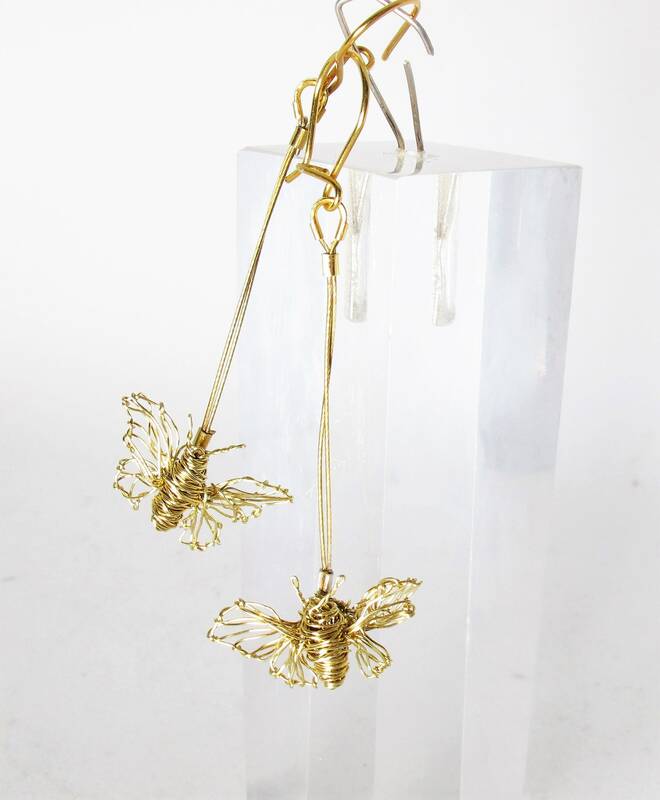 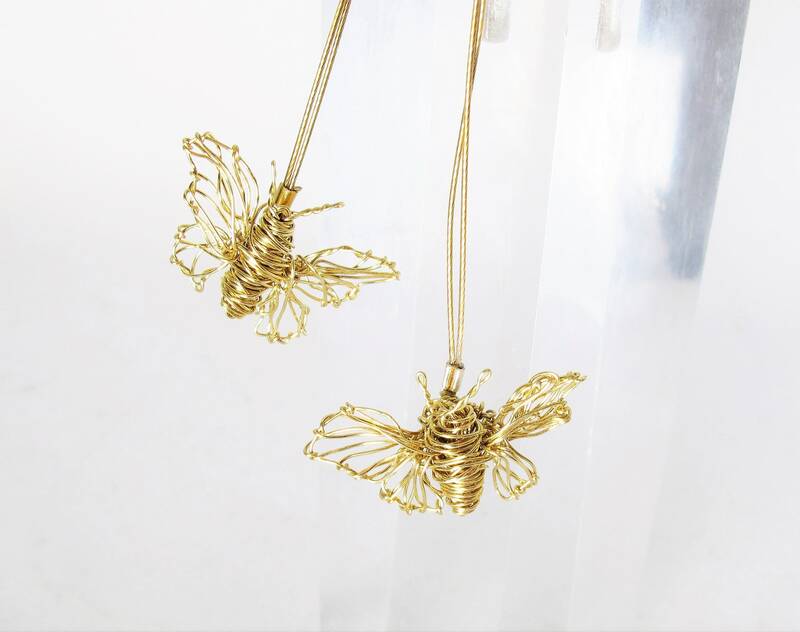 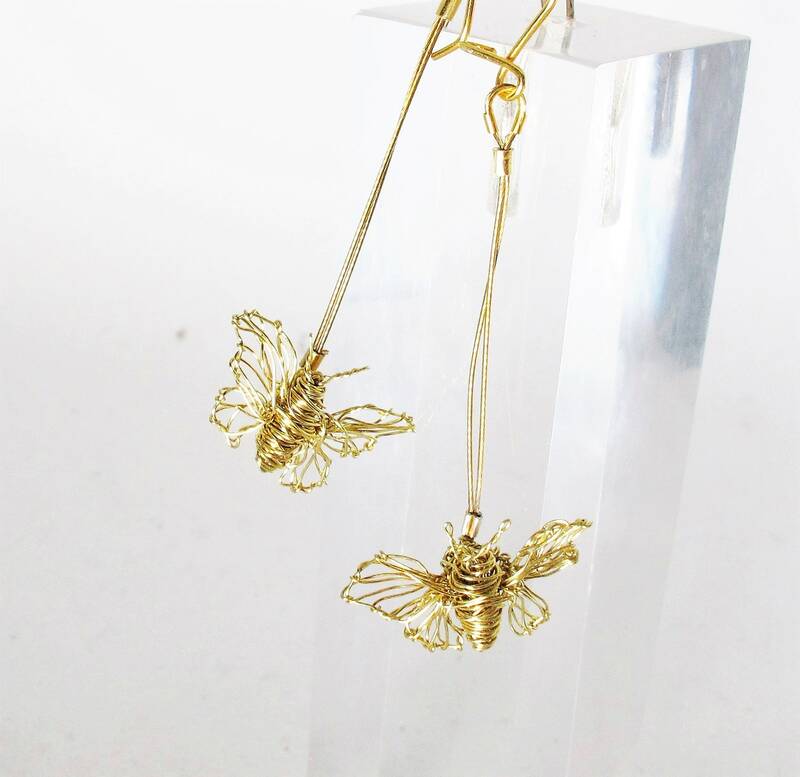 Ηandmade, butterfly wire sculpture, long, dangle earrings made ​​of yellow, solid gold 14k, wire. 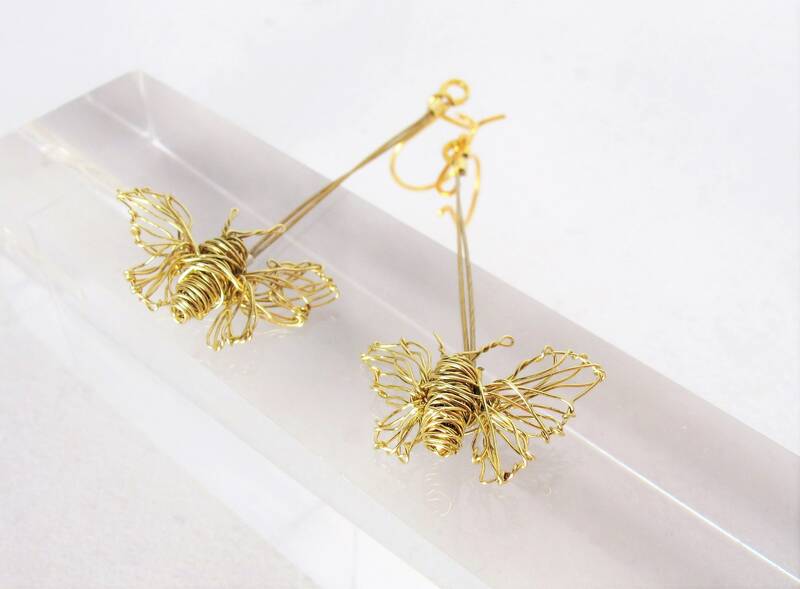 The height of the fine butterfly earrings is 1. cm (0.59in), and the wingspan is 2.5cm (0.98in). 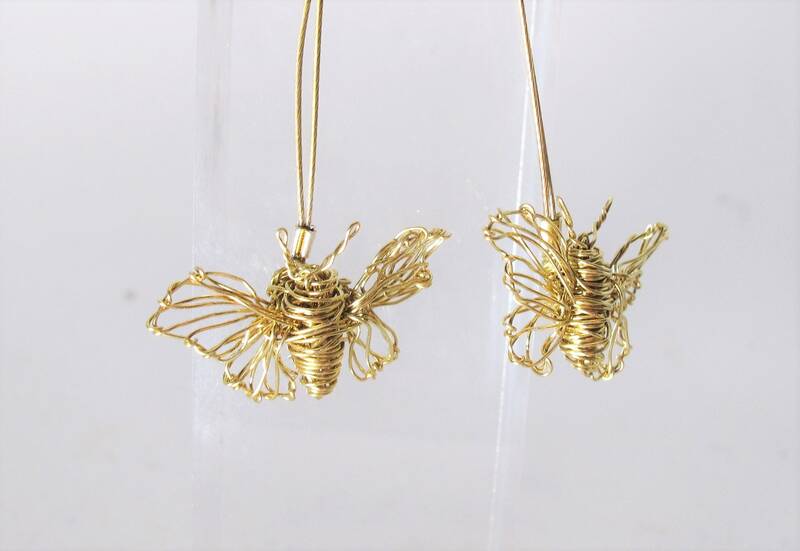 Overall height is 7.1 cm (2.79in). 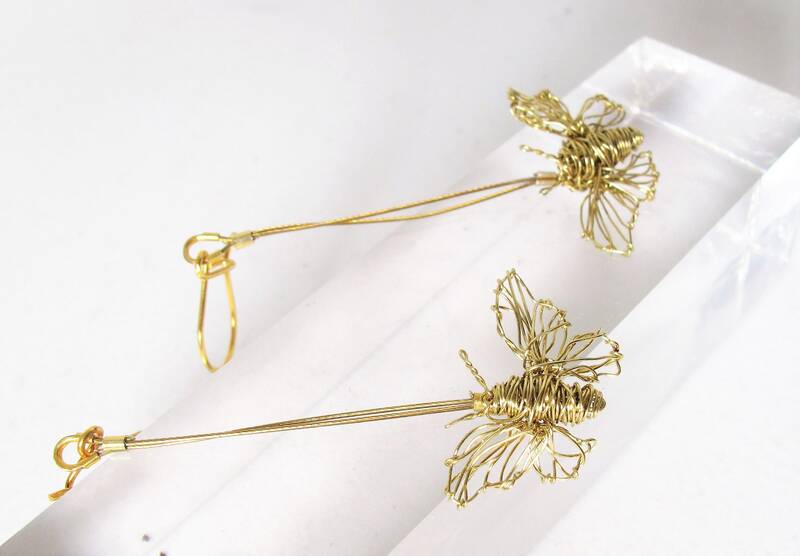 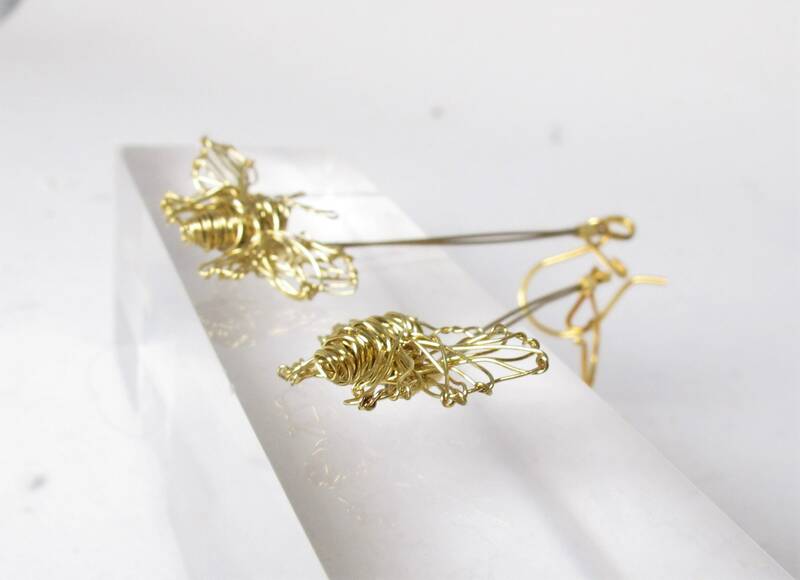 Clips and wire from which standing the butterflies is solid gold 14k.